While Booster doesn't actually appear in any of the 1998 annuals, that's not going to stop me from joining in the ghoulish fun. Booster has encountered spiritual apparitions of the undead, including the time he led the Super Buddies to Hell to recover Ice in 2005's JLA Classified #6 and 7! 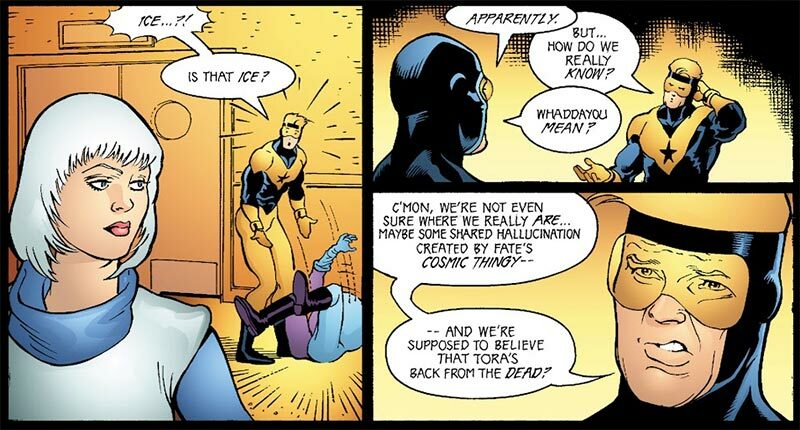 Ok, so it wasn't actually Booster's intention to rescue Ice from Hell. In fact, it hadn't been Booster's intention to go to Hell at all. Booster was just blowing off some steam when things got out of hand, and he accidentally wished the team to Hell. It wasn't Booster's finest moment. Arguably, nothing about his time with the Super Buddies represents any of Booster's finest moments. Because Blue Beetle had something of a makeover in recent appearances in L.A.W. and Birds of Prey, Booster is used as comic relief and scapegoat for the duo. We Booster-philes may chafe at seeing Booster playing the fool, our raw feelings should be salved by the fact that he's doing it in support of his best friend. 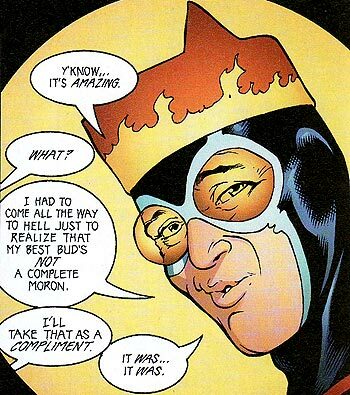 Booster himself is surprisingly resilient to finding himself in Hell. This could be a psychological defense, or perhaps Booster is truly an atheist (as he himself stated as part of a punchline in 1988's Justice League International Annual #2). In any event, he remains skeptical when his friends encounter the apparition of their long-dead teammate, Ice (who died in 1994's Justice League Task Force #14). Is she Ice, or isn't she? Is the team in Hell, or isn't it? The answers to these questions aren't immediately clear, and that very uncertainty is key to the psychological insecurity at the heart of this ghost story. No matter how you think about it, you don't have the answers. That's not a very comfortable position for anyone, much less heroes who are required to make split-second decisions with lives in the balance. 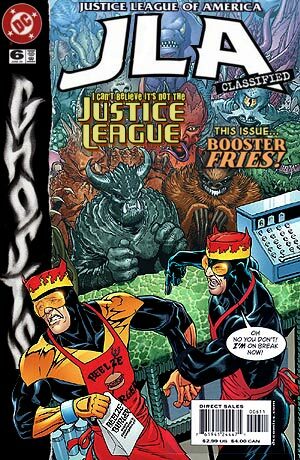 Published over a decade after their best work on Justice League International , this issue's mix of humor, action, and psychological drama is indicative of the best works of co-writers Keith Giffen and J.M. DeMatteis. If you like your super-hero comics not to fit within any easily definable genre, you'll find something to love in this issue. "The Death Sentence" @ Great Krypton! Thanks to Chad Bokelman of corpsconjecture.blogspot.com for putting this crossover together. "Booster was just blowing off some steam when things got out of hand, and he accidentally wished the team to Hell." You know, it's comments like this that remind us just exactly what medium of media we're obsessed with. lol Fantastic write up. Boosters always been a bit of a mixed bag for me but this seems pretty entertaining. Thanks for participating in the cross over! I was stoked to have you aboard! Maybe we can do it again sometime! I have a buddy who adores Booster - as a result I've discovered lots of fun moments with the character, and some good writing too - great in Justice League Unlimited and Smallville.. 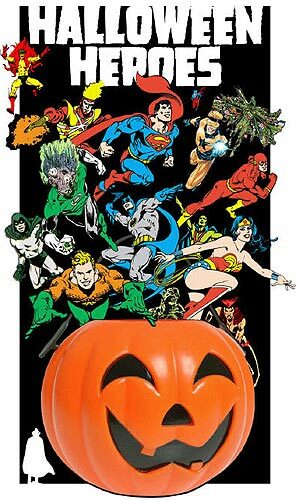 This was a funny post, and was glad to be part of our Halloween crossover. If Booster Gold had ten dollars and earned ten more, how many dollars does he have in all? If a villain held nine hostages and Booster Gold freed six of them, how many hostages remain?